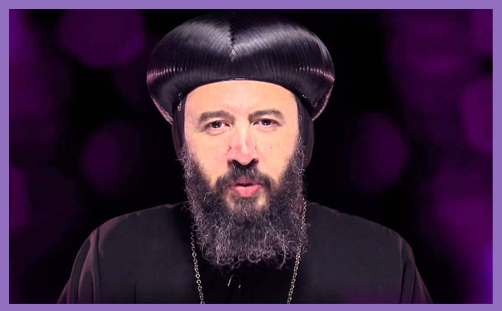 Congratulations to His Grace Bishop Anba Angaelos on being appointed OBE in the Queen’s Birthday Honours 2015. As General Bishop of the Coptic Orthodox Church in the UK, he has been at the forefront of efforts to tell the persecuted church that “they are not forgotten; that they are in our hearts and in our prayers; that we are not just praying for them from the comfort of being in Britain, but that we are willing to go and stand side by side with them and pray with them, seeing where they live, listening to their experiences, and pledging to do the best we possibly can to help them”. While it may seem illogical or incomprehensible, we also pray for those who have carried out these horrific crimes, that the value of God’s creation and human life may become more evident to them, and in this realisation, that the wider effects of pain brought by this and other acts of brutality may be realised and avoided. We pray for an end to the dehumanisation of captives who become mere commodities to be bartered, traded and negotiated with. ..In the midst of this sorrow however, we must continue to dig deeper for the joy that comes from an understanding that this life is but a “vapour that appears for a little time and then vanishes away” (James 4:14), and that true glory and joy are found in an eternal life prepared for all those who live in and for love and peace. Bishop Anba Angaelos is honoured for services to international religious freedom – the undoubted torment of the age – and it is heartening that the Prime Minister has recommended the Bishop for his efforts against jihad. However, the words ‘equality’ and ‘diversity’ appear 19 times in the Queen’s Birthday Honours citations; ‘religious freedom’ only once. Is it too much to ask that honour may be given where it is due? Canon Andrew White? Ann Widdecombe? Charles Moore? Too white? Too Christianly orthodox? Seriously, why has Ms Caroline Criado-Perez (for whom Winston Churchill is just “another white man”) been appointed OBE “For services to Equality and Diversity, particularly in the Media” (she campaigned to get the image of Jane Austen on the new £10 note) when the Rt Hon Ann Widdecome hasn’t even got a lowly BEM to her name after a lifetime of commitment to public service and tireless work for a number of charities? Too critical of the Prime Minister?